Hareet is a graduate of Mountview, and made his professional debut in the television pilot THE SHORE. He has recently completed a hugely successful run as Yusuf Khan in the world premiere of MEMOIRS OF AN ASIAN FOOTBALL CASUAL at The Curve, Leicester. 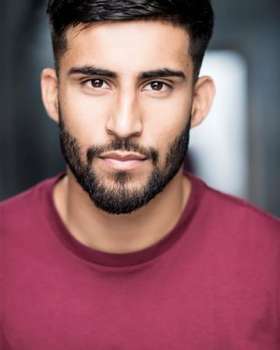 Hareet is currently filming on the new series of Channel 4's ACKLEY BRIDGE, where he plays new regular character Hassan Hussein.